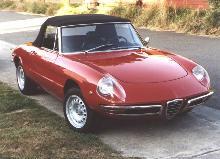 Produced between 1966-1967 the Alfa Romeo Duetto was closely related to the Giulia range. 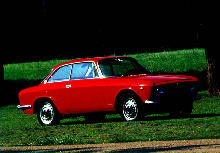 Powered by a twin-cam four cylinder of 1570cc the Duetto offered good performance and an attractive "Spider" body. 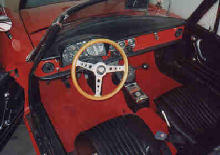 The body featured bumpers that were set into the front and rear wings as well as a front grille set below the front bumper. The Duetto came with twin carburettors and disc brakes, unfortunately this pretty convertible was never officially imported into the UK. 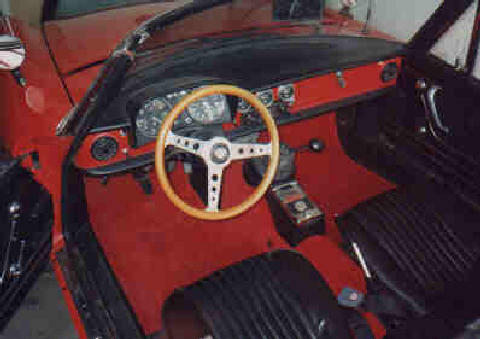 Production of the Duetto finished in 1967 after only 12 months. 7' 4" 4' 3" 4' 2" 14' 1" 5' 4" 0 (19) 0' 0"